These are all words that describe Brittany Morton. A native of Nashville, TN, Brittany is an ambitious leader, brand enthusiast, and follower of Jesus Christ. She obtained both her bachelor’s and master’s degrees from Alabama A&M University and has been noted for her work with the establishment of the Student Health and Wellness Center on the University’s campus. She is the founder and executive director of Saved in the City, a Christian based organization designed to encourage and equip young adult women to live life better together through life groups, retreats, conferences and more. Brittany loves people and believes everyone can live their best life now. 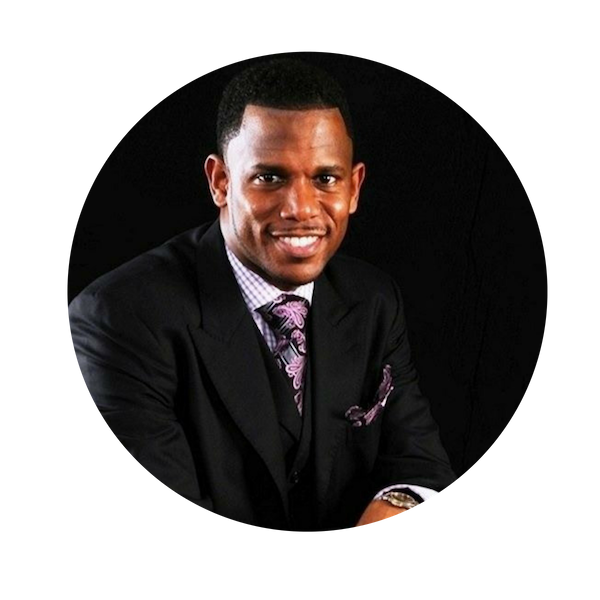 Dr. Thomas Beavers serves as the 4th Pastor of New Rising Star Church in the Eastlake community of Birmingham, AL. Upon graduating from Kentucky State University (BS Biology 2004) and Beeson Divinity School of Samford University (MDIV May 2007 & DMIN December 2013), he succeeded his grandfather, Dr. Tommy Chappell who served as New Rising Star's third pastor for 35 years. As the servant leader of New Rising Star Church (also known as THE STAR & #TEAMSTAR), Dr. Thomas Beavers leads several efforts that impact the community which include but are not limited to the following: education, financial literacy, work-force development, housing, recreation, and the church. The goal is two fold: to preach the gospel for the purpose of enlarging Heaven and to develop people in the community that they may have access to a better quality of life on earth. In 2017, Dr. Beavers penned his debut book, The Fight of My Life: Born to Win. The Fight of My Life was written for all individuals who feel like giving up. You look good on the outside but inwardly there’s a serious fight. Maybe its marriage, family, spouse, kids, employment, a dream, a sickness, etc. You were born to win. This book is designed to show you how. More than anything, Dr. Thomas Beavers loves his family. He married his college sweetheart March 19, 2005. Together they have 8 children (Zaneta, Dominique, Kennedi, Zoe, Micah, Xavier, Tory, Kai) and 3 grandchildren (Channing, Charlie, and Cassidy). Although Beavers married into a blended family, Christ has been the center and he has refused to do “steps” when it comes to the children. All of them get his attention, authority, and affection. Keisa Sharpe Jefferson is a 25-year career communicator. She began her career as a broadcast news anchor in the markets of Tupelo, MS, and Montgomery. And in 1996 she came to Birmingham’s ABC 33/40 to report and anchor Good Morning ALABAMA. She worked a total of 10 years in the news business before moving on to become a business owner of All Shea Naturals hair and body products and a public relations professional. Currently in Corporate Communications at Alabama Power, she is a spokesperson and blogger/writer. In addition to owning her own business, Keisa is an award-winning author and empowerment speaker. Keisa is a 1995 graduate of the School of Communications - Broadcast News sequence - at the University of Alabama. She is a newlywed (married as of Sept) and LOVES to travel and encourage others!